Download Movies On Demand 4, the latest project from Consequence, released on Thursday, January 17th, 2013. Consequence's chances in this game are improving with each new release, and Movies On Demand 4 is no exception - quite the opposite, in fact. It's a nice addition to the impressive catalogue Consequence has been building over the years. We're definitely anticipating the next move. These artists contributed to the project: Raheem DeVaughn, Estelle, Busta Rhymes, Gemini, Peter Baldwin, Chazo, John Legend. 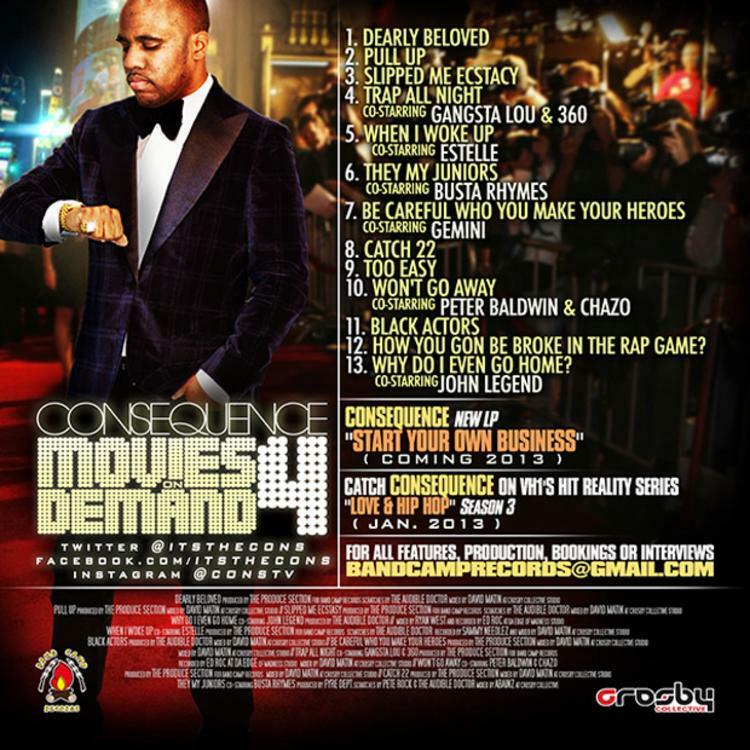 Check out Consequence on Dearly Beloved. 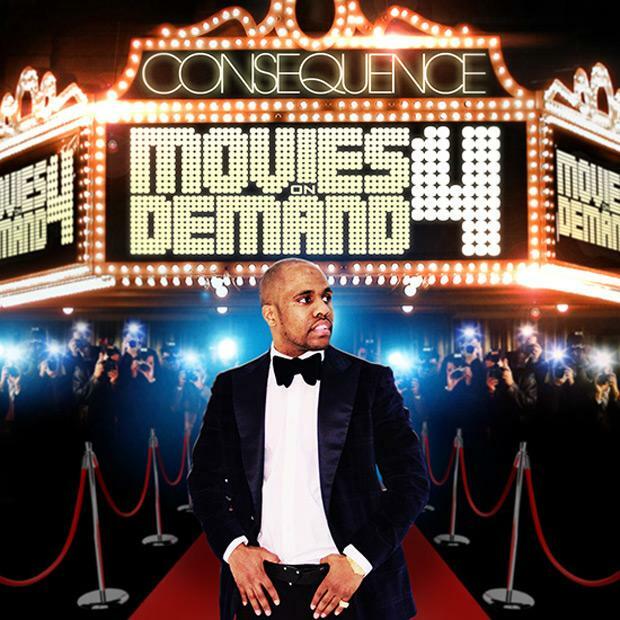 If you're feeling this, make sure to hit up Consequence's profile page for the latest info, news, songs, and mixtapes. Remember to follow Consequence on Twitter.